When I started working on my family’s history, I reached out to cousins of my parents‘ generation, interviewing them, asking them questions, and more questions. I also requested copies of photos that they had, looking on the backs of the images for clues. And I asked if they had any old letters or other documents. [Your grandmother] sent me some correspondence from 1940 from family in the Ukraine which apparently requested some money or clothing material or both. 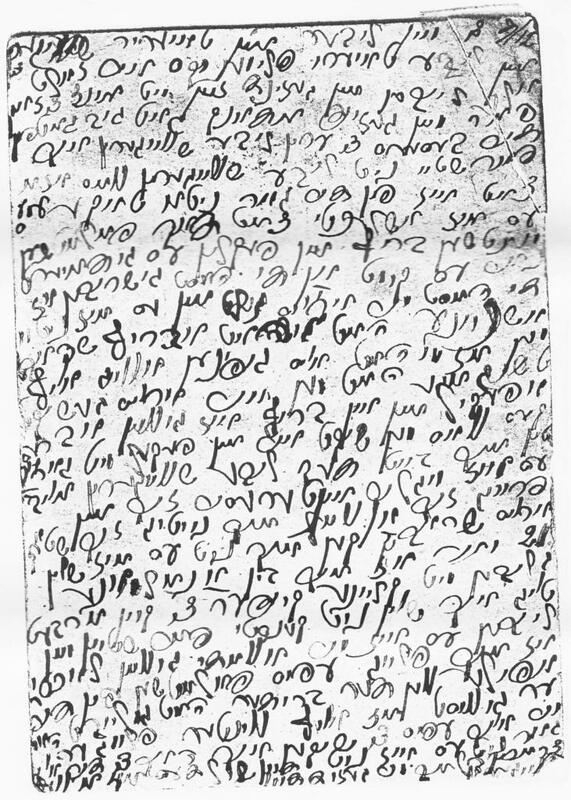 The correspondence is written in some kind of script, possibly Yiddish. I once had attempted to get someone to try to translate it, but not very successfully. However, I was told that the letter and a postcard were from “Sure” (which I was told meant Sarah) Mordche-Leibovna Schnaider ….. She may have been a sister-in-law of [my grandmother], or possibly a sister of Samuel. Wow. 70-something year old letters from a heretofore unknown relative. This cousin was kind enough to scan all the letters, envelopes and bit of paper. I had them translated from Yiddish, and they were an eye-opener. The letters detail requests for money and goods to be sent to Sore Mordeche Leibnova Schnaider on Rakovaya Street in Medzhibozh, Podolsky Gubernia [present-day Medzhybizh, Khmelnytskyi Oblast, Ukraine]. Sore addressed the envelopes in English, wrote the return address in Cyrillic, and the text of the letters in Yiddish, indicating that she had the ability to write, and possibly understand, at least two languages. Comparing the data in the letters along with other family information, I determined that Sore was a sister to my great-grandfather. Meanwhile, Sore’s sister-in-law responds to the requests, sending both a money order and a package of wool suit and coat fabrics, but the letters indicate the package did not arrive. According to the translator, the letters sound pleading. A widow of 21 years, raising her children on her own, the notes seem to indicate a woman a little desperate and forgotten at a time when most of Europe is moving closer to chaos. The letters were sent from March through December 1940. Whether she sent additional letters is unknown. The Nazis arrived in Medzhibozh on 8 July 1941, placing all the Jews in a ghetto. The ghetto was anihiliated beginning on 22 September 1942, with the liquidation lasting three weeks. Why Sore chose not to leave Russia, or if she had a choice, is unknown. Her fate, and the fate of her children are also unknown. I have initiated an International Tracing Service search through the United States Holocaust Memorial Museum. Perhaps someday, I will have the answer.